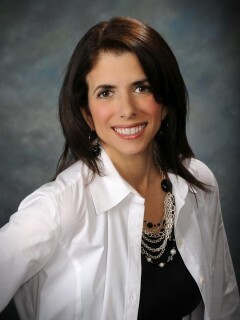 Andrea Herran is the Founder and Principal of Focus HR Consulting. Andrea developed a passion for Human Resources and Leadership from the beginning of her career. One thing she noticed about working with people is you see the good, bad and the ugly from managers and employees. Overcoming the bad and ugly was a challenge she would take on and learning from the good and great made a lasting impression on Andrea. She bring those learning to her clients and team each day. A little bit about Andrea. First the general stuff ­ she has over 25 years of professional HR experience. Early in her career she was fortunate enough to work outside the USA, in three different countries ­ Argentina, Mexico and South Africa. When you get a chance to meet her, ask her about it, she enjoys sharing her adventure and experience. The specifics. Her career has always been about people, since the day Andrea walked off the Augustana College campus in Rock Island, IL. She has never been told she’s a typical HR person and this is a source of pride for her. After working her way up in the corporate world, Andrea ventured out on her own and became an entrepreneur. As any entrepreneur will tell you, it has not been an easy road and she has enjoyed every minute of it. Andrea has a bachelor’s degree in business administration and psychology. She has experience in the following industries: hotels, restaurants, advertising, professional services, logistics, technology and manufacturing. She is bilingual in Spanish.